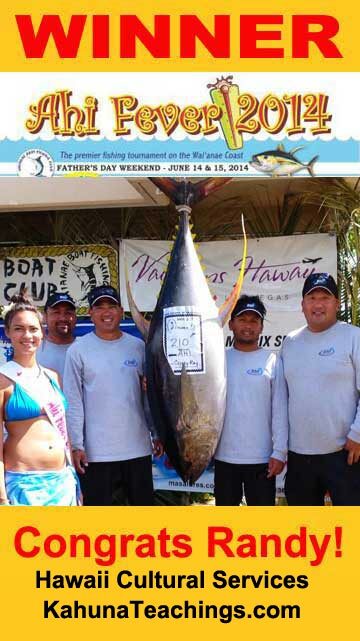 Congratulations Randy on winning 1st place in the 17th Annual Ahi Fishing Tournament with your 210 lb ahi. When Kahu Silva was performing your boat blessing he was positive something big would happen. Mahalo a nui loa for sharing your catch. The sashimi was ono! (delicious! ).